Since 1997 the ÖkoTrend institute has been publishing an environmental ranking for cars on an annual basis. In order to reach a conclusion the institute evaluates the environmental compatibility of several tens of thousands of data relating to around a thousand car models in twelve categories. This stringent assessment includes information on consumption, pollutant emissions, manufacturing, logistics, recycling and the manufacturers’ environmental systems. This year two models from Mercedes-Benz celebrated victories – the S 250 CDI BlueEFFICIENCY in the luxury class and the ML 250 BlueTEC 4MATIC in the “SUV” category. This led to their “AUTO TEST WINNERS in GREEN!” awards from the specialist publication AUTO TEST. Both of the winning models are driven by the same base engine: a four-cylinder diesel unit with direct injection and turbocharging. It has a displacement of 2143 cubic centimetres, from which it delivers an output of 150 kW (204 hp), placing a powerful torque of 500 newton metres at the motorist’s disposal. The S 250 CDI BlueEFFICIENCY uses it to accelerate from 0 to 100 km/h in 8.2 seconds, whilst the ML 250 BlueTEC 4MATIC takes 9.0 seconds to complete this sprint. In spite of this sporty performance, both of the models are frugal with fuel. 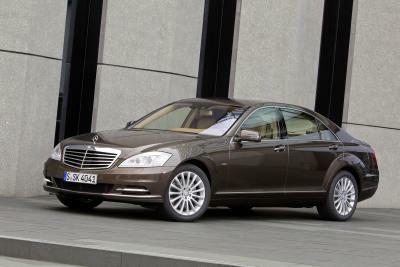 The S 250 CDI BlueEFFICIENCY consumes 5.7 l/100 km combined (which corresponds to CO2 emissions of 149 g/km combined). 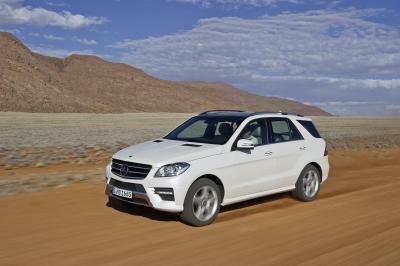 The ML 250 BlueTEC 4MATIC consumes 6.0 litres over 100 kilometres, with CO2 emissions of 158 g/km (both figures combined). The “Öko-Trend Institute for Environmental Research” was founded by the Bergisch University of Wuppertal (www.oeko-trend.de).